SWIPE CAREFULLY! You may fall in LOVE! Welcome home to this beautiful 4 bed/2 bath/2 car single family home that is just a few years young!!! A perfect first home for you and your family, this fresh and airy open great room plan offers the ultimate in entertaining. Beautiful engineered wood flooring flows throughout the main areas of the home and the kitchen features granite counters, stainless steel appliances, and so much more. A spacious master suite includes a deluxe master bathroom with walk in closet. There's an outdoor covered patio with a fully fenced yard to enjoy. 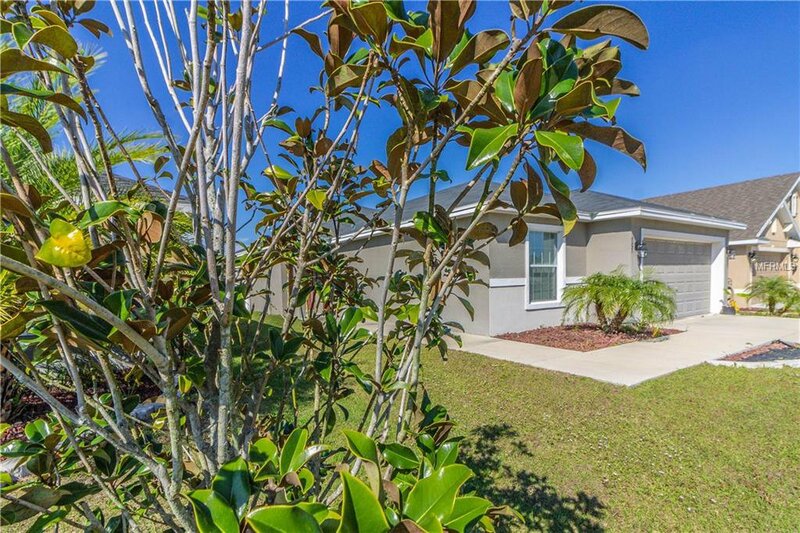 Located in Venetian at Bay Park, just minutes to I-75 and 301, see this one today! Listing courtesy of RE/MAX CAPITAL REALTY. Selling Office: KELLER WILLIAMS SOUTH TAMPA.